As well as an award-winning salon owner, I am an international speaker, author, awards judge, consultant and advisor… and still as passionate about our great industry as the day I started, over 30 years ago. If you want to be notified about when Beauty Directors Club re-opens, fill in your details below and we’ll let you know when it happens. 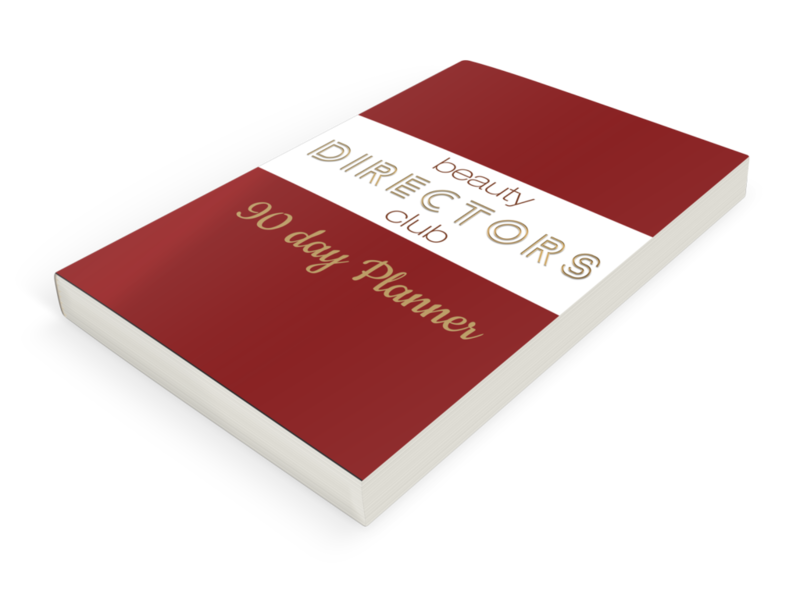 Exclusive to members of Beauty Directors Club, my custom designed, mega-practical 90 Day ‘Success’ Planner can’t be bought anywhere else. As a Beauty Directors Club Member, you’ll have direct access to me, as well as a chance to get meet up personally at our boot camps which will be held twice yearly at a location in the UK. If you would like to be added to the waiting list to be notified when the club reopens just pop your details in the form below and we’ll let you know.